The Crown Isle real estate team that makes up Crown Isle Realty Ltd. is an important part of the Crown Isle community. This full-service real estate team is well versed in all things Crown Isle, and can help you find the perfect building lot, family home, condominium or ranchers in this 831 acre, master-planned golf and resort community. The Crown Isle real estate team includes director of real estate Jason Andrew, managing broker John Waterman, construction manager Jayson Welsh, landscape manager Sky Niskasari, interior designer Donna Coulson, Realtor Carla Coulson-Prieto, and administrative assistant Angie Williams. Many of the team live in the Crown Isle community, and everyone has extensive knowledge of the community, its history, and future growth. When a buyer or selling works with Crown Isle Realty Ltd. they receive specialized knowledge, including pocket listings - properties that may not yet be on the market but are potentially for sale. Crown Isle Realty Ltd. also has reduced commissions, a generous commission split with other realtors, and extensive marketing ability. They will help you find the ideal property for your needs, or sell your home for the highest dollar in the shortest time frame. The Gales in Ladysmith on Vancouver Island is synonymous with luxury, offering custom built patio homes for sale in one of Vancouver Island's prettiest towns. Now, Sotheby's International Real Estate will also be listing a selection of The Gales' patio homes for sale, connecting Sotheby's clients with the home or vacation home that meets their unique lifestyle. The Gales is a truly amazing oceanfront residential development. Vancouver Island's temperature climate provides plenty of opportunities for residents to enjoy an idyllic outdoor lifestyle year-round, including leisurely strolls on the many local beaches or hikes through the pristine forest right next door. Marinas, kayaking, and golfing are located within minutes of these patio homes. Homes at The Gales are designed and built in West Coast contemporary architectural style with open floor plans ideal for entertaining. Wide sunny decks give you plenty of room to take in the views outdoors. And owners at The Gales can relax knowing that their landscaping and yard maintenance are taken care of. 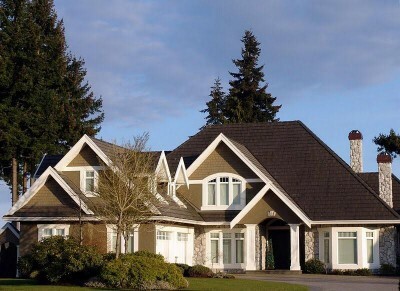 The Ridge in Courtenay is the ideal location to build your custom home on Vancouver Island. This 77 acre residential development in the Comox Valley has 69 building lots for sale with ocean and mountain views. Located in south Courtenay, The Ridge offers residents views of the Comox Glacier, Comox Bay, and Comox Marina. The region's temperate climate means you can enjoy outdoor pursuits like fishing, boating, and hiking any month of the year. The beach is 10 minutes away by foot, while other amenities from health services to the airport and ski mountain are located a short drive away. At The Ridge you can purchase your building lot now, and start building right away or choose to build later. The Ridge offers two preferred builders, Lawmar Contracting and Brando Construction, or you can choose your own builder. Lots are zoned for a variety of housing types, including carriage homes, workshops, and secondary suites up to 924 sq. ft. in size, along with lots for duplexes and patio/bungalow homes. Windows are an important part of the energy efficiency of your home, and stylish window treatments from Budget Blinds can be a great way to improve the heating or cooling of your home. Blinds, shades, shutters and drapes provide effective insulation to keep you from losing as much as 50% of your heating and cooling energy through your windows. 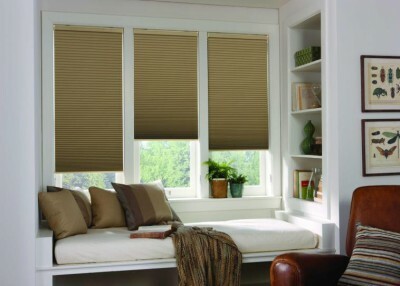 Budget Blinds has many great window treatment options to choose from. Consider honeycomb shades, with a honeycomb-shaped pocket designed to keep air from escaping or entering your home. That means the rooms of your home will feel warmer in winter and cooler in summer. Window film is also a great way to deflect 99% of damaging UV rays that fade and damage flooring and furniture, while keeping the heat out of your home. Optional motorization on blinds lets you set your blinds on a timer, meaning even if you aren't home all day, your blinds will open and close at the best time to keep the heat in or out. Not sure what blinds, shades, shutters, or drapes might work best for your home? Schedule a free consultation with our local style consultant. Our consultant can help you choose window treatments that work with your home, create comfortable environment for family and guests, and create long-term energy savings. Campbell River Realtor® Bruce Carruthers, with Re/Max Check Realty has a great selection of residential properties for sale in Campbell River. One listing, at240 Stratford Drive, is a single family home currently listed at $368,500. This 2,440 sq. ft. home has four bedrooms and three bathrooms (MLS Listing #380631) with full walkout basement. The yard is fully landscaped, with rock wall, fruit trees, and garden, and all the amenities are nearby. Best of all, you get mountain views and amazing western sunsets. For more information on these listings, and other residential listings, call Bruce Carruthers at Remax Check Realty. 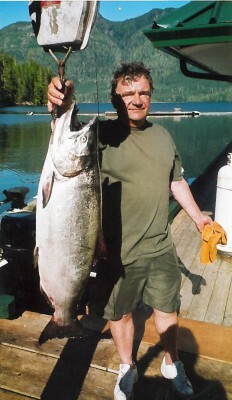 Bruce has been a resident of Campbell River for more than 40 years and a licensed realtor for over 25 years. He handles residential and commercial real estate listings in Campbell River, Campbellton,Willow Point and other areas of the city, as well as Black Creek, Saratoga Beach and Merville. Bruce has built his success on trust, honesty and integrity. He enjoys fishing, hiking, caving and all aspects of the great outdoors.